The Vehicle & Equipment Finance industry is in-demand! Students and grads from a variety of different backgrounds can hatch successful careers in this industry. Use this guide to learn more about this field and the opportunities within it. Considering a career in Vehicle & Equipment Finance? The Vehicle & Equipment Finance industry incorporates a wide range of skill-sets, including finance and accounting, marketing and sales, credit and risk analysis, asset management, and customer service. It's unique because it requires a lot of hands-on activity, from interacting with clients to building financial models. If you want to learn new skills and advance your career, this is a field for you! The vehicle and equipment finance industry finances so much that people just don’t realize, and through the decades it has become part of every industry and come to support every business." Want to land your dream job? Here's what you need to do. Looking for a great industry to launch your career? Consider the Vehicle & Equipment Finance industry – these young professionals share their stories. Fine tune these skills to help you hatch a successful career in the industry! If you haven't checked out this industry, it could be for you! 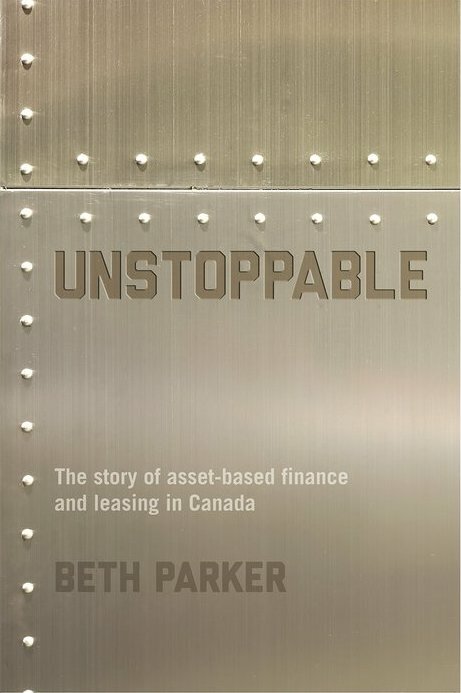 Unstoppable tells the previously untold story of a business that has grown to be the largest source of debt financing to Canadian consumers outside of the traditional bank loan.